Twitter experienced service disruptions on Tuesday, displaying an older version of the social networking website to some users and becoming completely inaccessible to others. 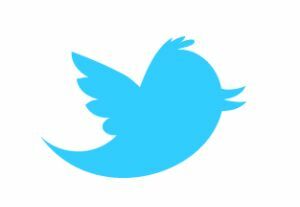 A message on Twitter's Web page that provides updates on the servi ce's status said: "We've temporarily disabled #NewTwitter. Our engineers are working on re-enabling it and we'll update you shortly." Twitter, which allows users to send short, 140-character messages to groups of "followers," has more than 200 million registered accounts and has become a popular communications service with businesses, celebrities and protesters in the Middle East. Last month Twitter announced that it had moved its infrastructure to a new home at an undisclosed location, which the company said would allow it to constantly "stay abreast" of its capacity needs and provide greater reliability. But a custom-built datacenter in Utah that was meant to house Twitter's gear has been plagued with problems, according to people familiar with the matter, forcing Twitter to move most of the site's operations to a facility in Sacramento, California instead. Tuesday's disruptions meant that some people were using the version of the Twitter site that preceded a redesign unveiled in September. Other Twitter users were unable to log on at all, and were greeted with a page informing them that "something is technically wrong" and promising to have things "back to normal soon." A Twitter spokeswoman said the company had no details to provide beyond the statements on its special technical status Web page.